Sami’s Syrian town is bombed and his family flees to a refugee camp. They have to walk night and day and night again before they get to the tents of the refugee camp. There they remain while Sami struggles with his emotions and continuously fearful for his pet pigeons, which his father says escaped the bombed city. Read to find how Sami deals with his inner turmoil as he and his family lives at the refugee camp. Did you know that fireflies only live as adults for 5-30 days? Drill Sergeant Firefly is tasked with teaching the firefly larvae all they need to know to survive their life cycle. And he must accomplish this task quickly, before he dies. 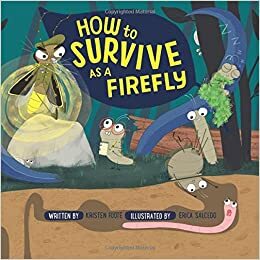 Told in a comical dialogue, readers learn about metamorphosis, the firefly life cycle, bioluminescence, and everything you could possibly want to know about fireflies! Looking for a way to spice up your how tos? Looking for a possible project using coding, incorporating life cycles? 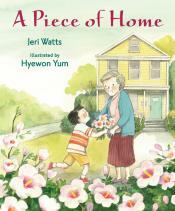 Looking for a mentor text that shows a comical voice? Just looking for a good read? Book Blurb: A young boy rides the bus across town with his grandmother and learns to appreciate the beauty in everyday things. Award Alert–This book got THREE! Needing to teach the life skill of helping others? This is the book for you. Needing to get students thinking about being selfless? This is the book for you. Just need a book that will get kids thinking? This is the book for you!